Folks over at XDA-Developers community has managed to extract and run Google Maps Navigation app on HTC T-Mobile G1. Google Maps with Navigation is exclusive to Motorola Droid phone on Verizon, which is powered by the latest Android 2.0 platform. Google Maps Navigation is a fully dedicated turn-by-turn GPS application, which is an integral part of Google Maps app on Verizon’s Droid phone. The app is completely aware of Live traffic feed, and is powered by plain English voice commands. You can get this app on your old G1 by following the tutorial/guide posted here. 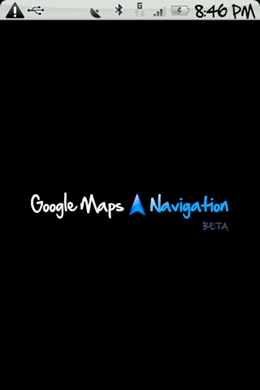 However the best and fastest way to get Google Maps Navigation on G1 is to wipe your phone, and then do a fresh install with Dwang v1.11 Donut Rom which has this app already installed in it. More info about Dwang v1.11 donut Rom can be found here. If you liked this then you may also like to check out: How to install HTC Sense UI on HTC Dream (Android G1). 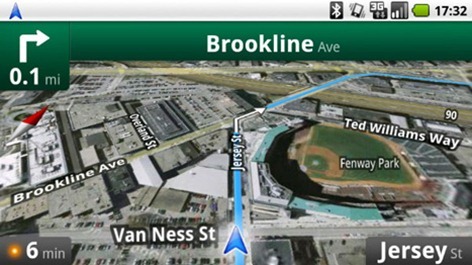 will google maps navigation be available to all android devices or just the verizon ones? i would love to cancel my telenav subscription for this. No need to root your phone. Google updated the G1's and they now have it native. it's available to T-Mobile G1 phones now.